Why she would be singing is a mystery – it is a testimony to why she is a saint. 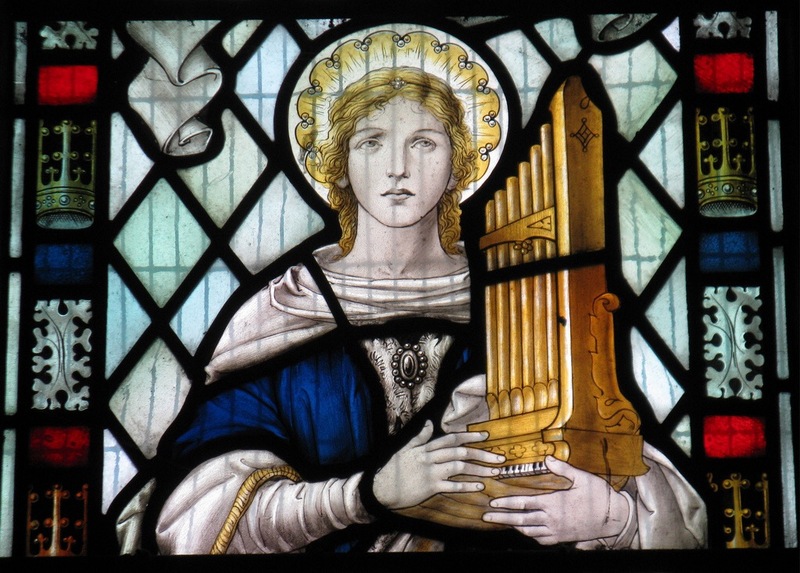 As a part of my daily prayers today I prayed in thanksgiving for Cecilia and all others who gift us with music, both secular and sacred. When we sing something special happens. Miguel de Cervantes Saavedra said “He who sings scares away his woes.” This year I have discovered this to be true. In September I joined the Valleyview Male Chorus. Under the direction of Henry Boldt and Kim Nikkel, this group of nearly 50 men has given me a place to scare away my woes. Gathering once a week with these folks, working hard each week to get the pieces right, I have experienced incredible joy and peace. I have never been in a choir and I had no idea what I was missing. I am quite the novice in this group, but they all are so supportive. We performed last week in Nairn. It was a real high to finally step forward as a group and showcase what we have been working on. It is a vulnerable, and yet, a peaceful experience. I am looking forward to our next performance – we will be at Valleyview Mennonite Church on Dec 11 for a Carol Service in the Evening. I have come to understand this… and it is helpful in scaring away my woes!